Creating and editing HTML signatures in Mixmax is possible when you follow the steps below. Keep in mind some familiarity with HTML is helpful for this. There are also tools like Wisestamp that make creating an HTML signature easy and following the steps below will allow you to get that signature into Mixmax. Go to the Signatures section of your Settings in the Mixmax web app. You can customize your signature here by adding images, links, and call-to-action buttons. If you want your signature to appear above the text of the email you're replying to, click the box Place signature above quoted text. Click Save to save your changes, and you're done! If for some reason your signature did not import correctly, you can import it yourself. 1. Grab the HTML of your custom signature from an email you sent without Mixmax. You can check your Sent folder in Gmail, or go to chrome://extensions/ and temporarily disable Mixmax. 2. Go to that email and open the Chrome developer console. In the Chrome menu bar, click View, then select Developer, then Java Script Console. 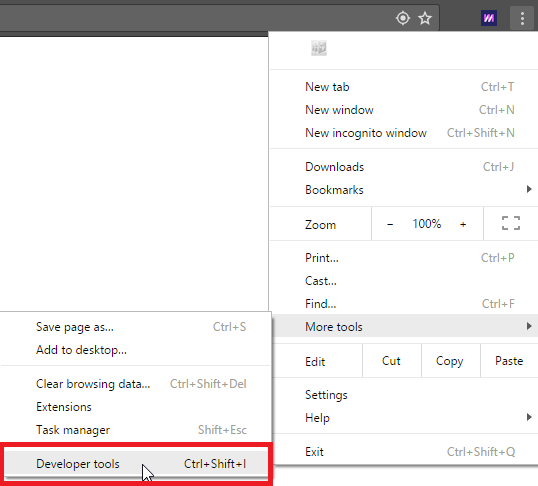 Windows users, click on the Chrome menu, then More tools, then Developer tools. 3. With the developer console now open, click the inspect element button in the top left of the console. Then hover over the email signature until your entire signature is highlighted (make sure it's only your signature that is highlighted — nothing extra). Left-click so your signature's code is selected in the console. Right-click on the highlighted line that has your signature's HTML, hover over Copy, then click Copy element. Your signature's HTML is now copied to your clipboard. 4. Go to the Signatures section of the Mixmax web app, open up the custom HTML enhancement, paste your signature's HTML, click Insert Custom HTML, then Save your signature. Here's more on how to add custom HTML. Having trouble? We can manually import it for you. (HTML can be brittle, and this happens sometimes!) Please send your custom signature to success@mixmax.com, with Mixmax turned off.